The 4 Year B.Tech Programme in Petroleum Engineering is based on integrated approach of relevant basic sciences and engineering and Oil & Gas industry technology operations and emphasis in the application of these knowledge base to exploration, drilling, production, reservoir engineering, pipeline engineering refinery operations, LNG value chain, petrochemicals and gas processing. Total intake is 120 students. Students in the petroleum engineering program will be taken on a holistic journey of the entire value chain starting from exploration of hydrocarbons to the supply of petroleum products to end users. Keeping this in mind the bifurcation of Upstream and Downstream is carried out at the end of 2nd Year. 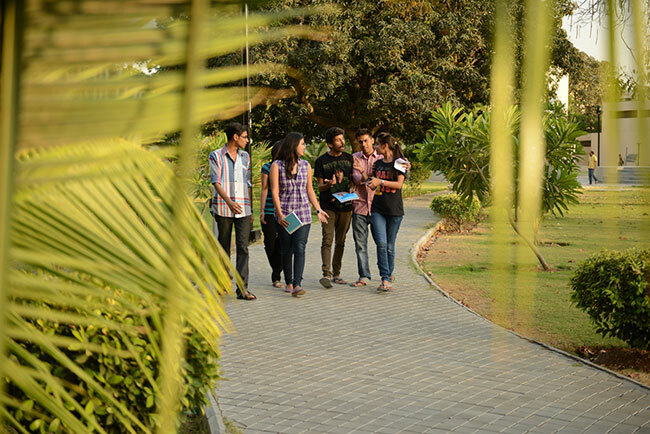 Effective from 2016-17 academic year, the course structure similar to the course of the UNIVERSITY OF OKLAHOMA (OU) has been introduced for first 7 semesters. There will be credit exchange program in which PDPU students can go to the UNIVERSITY OF OKLAHOMA (OU) for one semester and earn credit which will be counted as their academic performance for that semester. The major subjects covered in the curriculum of PETROLEUM UPSTREAM are Reservoir Engineering, Operation and Production Engineering, Drilling and Well Completion, Enhanced Oil Recovery etc. The major subjects covered in the curriculum of PETROLEUM DOWNSTREAM are Processing, Marketing and distribution of crude oil and natural gas& its by-products, Refining of petroleum crude, LNG value chain, Pipeline engineering etc.